In some circumstances, when the time comes for roofing repairs, you may be able to get away with just having some parts of the roof replaced. In other cases, you may need to entirely replace the roof. Having professionals on hand will make it easier for you to know what you need. They will also be able to get the job done right the first time, which will save you from costly mistakes and wasted time. 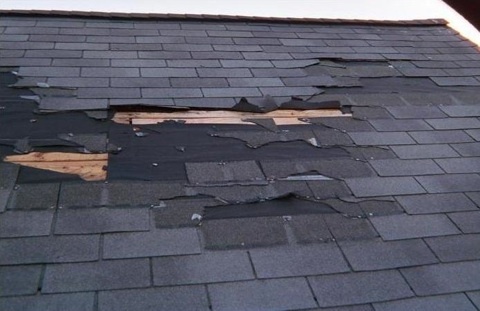 Even if there aren’t any specific signs that your roof needs repairs, it is best to have it checked out occasionally to ensure you won’t run into major issues in the long run. Leaving a roof, especially an older one, unnoticed for a long period of time could have you spending lots of money when you didn’t need to spend that much in the first place. Getting things looked at before any noticeable problems arise will save you lots of time, energy, and money. To talk more about this, or anything else, please contact us. Thanks for reading. We can’t wait to hear from you! A new roof isn’t something that most people have to handle on a regular basis. Most of us won’t have to consider having roofing done more than two or three times in our lives. With that in mind, there are probably questions one might have when selecting which roofing contractors to work with on your home. Fortunately, residential roofing projects are common, and there is plenty of information concerning the topic. To start, you’ll want to make sure that the roofers you work with are licensed. Most states require it anyway, but if your contractors are licensed, it ensures everything is on the up-and-up, and it establishes that you are working with documented professionals. You’ll want to bring up insurance. The last thing you want is for an accident to happen on your property, resulting in you incurring thousands of dollars in medical bills. You’ll also want to make sure they have general liability insurance. This would seem fairly obvious, but again, it’s better to find out. Ask to see documentation from the beginning, as if the contractor accidentally causes property damage, it will be good to have the peace of mind knowing it will be taken care of. Be sure to get multiple quotes, and to ask for estimates and weight on the shingles they’ll be using. This will not only allow you to see what you’ll need to budget, but will also allow you get an idea of the quality of materials they’ll be using. Take some time to research, looking at other possible projects your contractors have been a part of. Establish what you can expect from the quality of their work, and how far back their successful work history actually goes. Inquire about the warranty placed on their work. Many roofing materials actually last longer now than they ever have, and you shouldn’t accept a warranty that doesn’t cover the work and materials. Get it in writing, and have it in a place you can easily get to should roof-related issues arise in the future. While going over estimates, get a good time-frame planned out for how long you can expect the project to take. You’d like it taken care of in a timely manner, and you want to make sure that a never-ending construction job isn’t taking place on your property. Installing a new roof is never an over-night undertaking, but taking this information to heart will go a long way to helping you make a decision that you will be happy with, and will keep problems related to the roofing to a minimum in the future. If you’ve further questions about your roofing project, contact Roofity! Haslet, TX Roofing Experts to the Rescue! A powerful spring storm in northern Tarrant and southern Denton counties Wednesday afternoon brought heavy rain, flash flooding and some hail damage. The storm system created tennis ball-sized hail in some areas in Haslet, TX. Your roof is one of the most important features of your home. A roof can give obvious signals to homeowners that it is in need of replacement, such as if it leaks greatly during a heavy storm. However, oftentimes a roof will age more subtly, and will not present as obvious of signs to homeowners that it is need of replacement. This often leads homeowners to wonder how they will know if they should consider hiring a contractor to replace their roof. Contact Roofity today to have one of our roofing experts inspect your roof for damage.